Dr. Fiona McCulloch ND, the founder, and owner of White Lotus Integrative Medicine has worked with thousands of people seeking better health over the past 15 years of her practice. She is committed to health education and advocacy, empowering her patients with the most current information on health topics and natural medicine therapies with a warm, empathic approach. 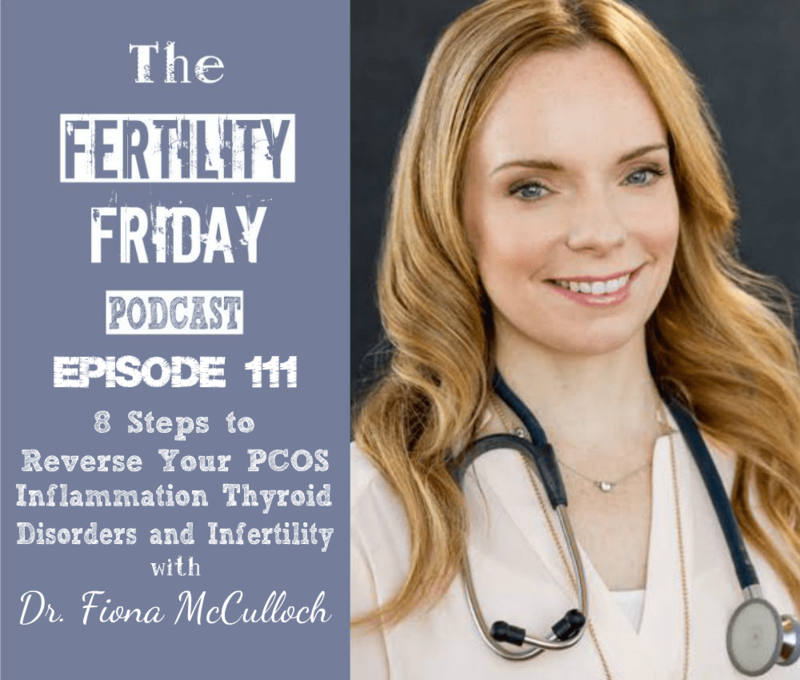 In today’s show, we talk about Dr. Fiona’s new book “8 Steps to Reverse your PCOS” which she just released in September 2016! We also talk about the connection between PCOS, inflammation, gut health & thyroid conditions! Dr. Fiona joined us on a previous episode: episode 45 where we talked about the autoimmune disease as it relates to fertility, thyroid health, and MTHFR gene mutation. Why has there been a recent push to change the name of PCOS? What is inflammation as it relates to PCOS and how is it caused? Why is following whole foods based nutrition plan so important for reducing chronic low-grade inflammation? What is Hirsutism and how can it connect to PCOS? How do stress and hormones affect the length of the ovulatory process? How can thyroid disorders play a role in PCOS?